The final of I’m A Celebrity… Get Me Out Of Here will air tomorrow night meaning it isn’t long now until we see which celeb will be crowned King or Queen of the jungle. Ex-football manager Harry Redknapp is currently favourite to take home the title but has tough competition from Emily Atack, Fleur East and, my personal favourite, John Barrowman. Tonight though in celebration of tomorrow’s finale the hosts of both I’m A Celebrity and its spin-off show Extra Camp will take on a Bushtucker trial. Scarlett Moffatt, Joe Swash and Joel Dommett will join hostess Holly Willoughby as she takes on her first ever Bushtucker trial which is the infamous ‘Celebrity Cyclone’. Tonight (Saturday November 8) will see the four campmates take on the challenge everyone has been waiting for and so for fun ITV also put the hosts of the shows through it. Following tonight’s episode of the hit reality TV show, on ITV2’s Extra Camp at 10.15pm the presenters will take on the trial which is always a fan favourite. If you are unfamiliar with the ‘Celebrity Cyclone’, Holly and co. will have to climb up a big hill while carrying a giant foam star. Now to me that sounds difficult enough with my short legs and lack of stamina but this is a Bushtucker trial so of course ITV will hit the celebs with high pressure water cannons, gail-force winds and giant balls as they make the climb. We are sure this won’t bother Holly though who will tackle the challenge like a champ! This year’s series of I’m A Celeb has been one of the best so far but of course there has been uproar about possible fixes. During an episode last week (December 2) eagle-eyed viewers spotted an alleged ‘huge fix‘ which left fans angry. 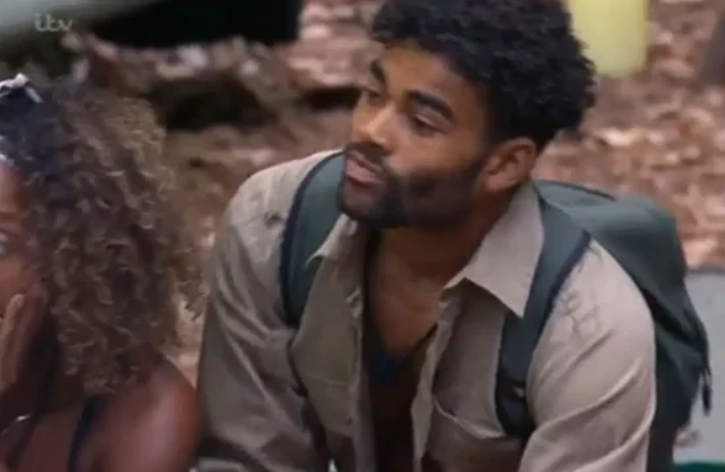 As the celebrities sat around the campfire waiting to be told who will be leaving the show, presenters Dec and Holly told the campmates it had come down to Sair Khan and Malique Thompson-Dwyer. Eventually the hosts announced Malique had to leave the jungle but fans noticed the 20-year-old actor already had his rucksack on his back before being told he had been voted out. Why was Malique the only person to have his bag on before they announced he was leaving??? The I’m a celeb fix just telling u #ImACeleb u think we’re stupid. Malique had his bag, Noel had his bag whoever has their bag next will go. Despite this outrage a spokesperson told The Evening Standard that the rumours are just that – rumours. The I’m A Celebrity… Get Me Out Of Here final will air tomorrow night (Sunday December 9) on ITV at 9pm.